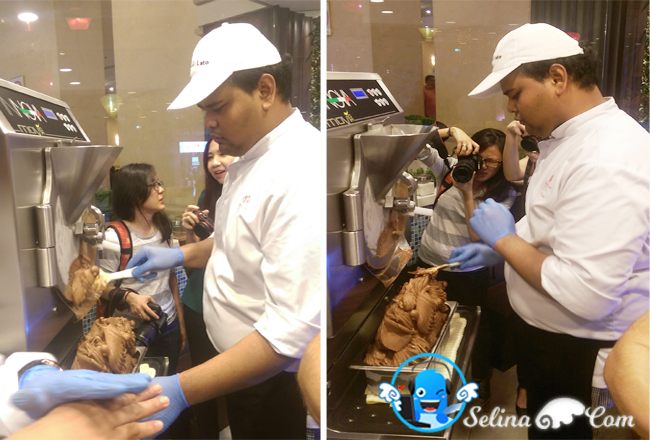 I had the chance to savor cool delicious beautifully crafted iced cream in Genting Highlands. 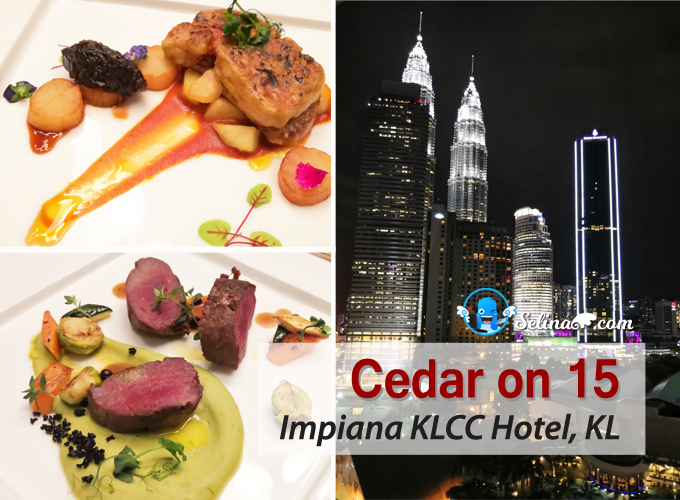 ITALGELato ice cream is situated near the Lobby of First World Hotel Genting, the record hotel with world's most number of rooms. 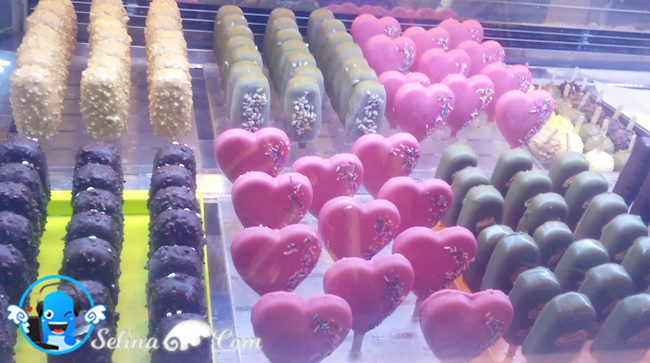 Wow, there are so many lovely colors, shapes and flavours to choose from. 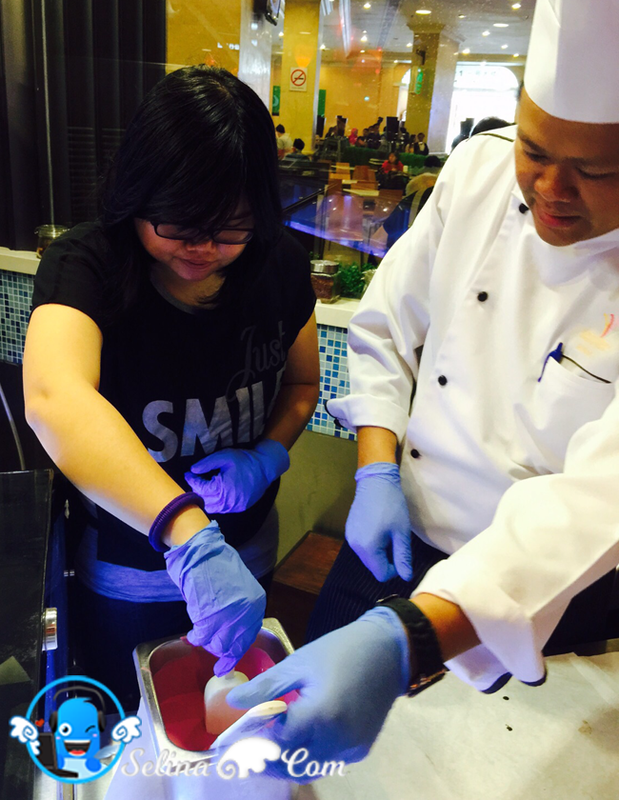 We were given the chance to try the various different flavours, from the courtesy of Genting Highlands Resort. 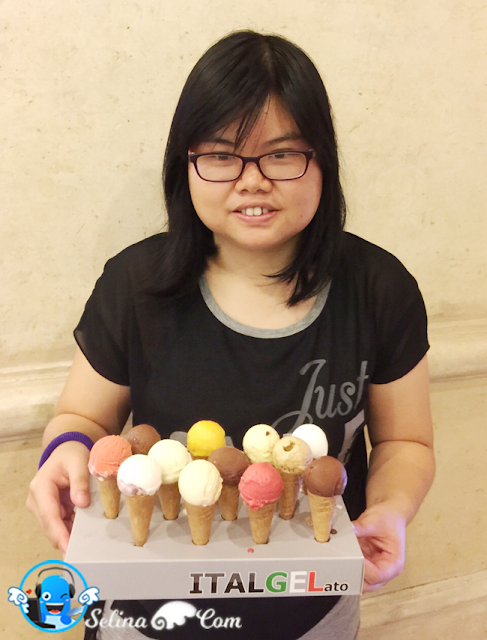 The flavours are divided into five categories of Gelato, Sorbeto, Yogurt base, Stick Ice Cream and Minou Ice Cream (golf ball size). My mother and I choose 7 different flavours as shown above. They are Gelato Cioccolato Fondente ( Dark Chocolate), Gelato Tiramisu, Gelato Coppel del Nonno (Grandfather cup) old recipe, Gelato Morbidella (Cookies flacor), Gelato Affogato Amarena (Mix Red Berries), Gelato Biscotto alla Cioccolato (Peanut and Chocolate) and Yogurt alla Lampone (Raspberry Yogurt). 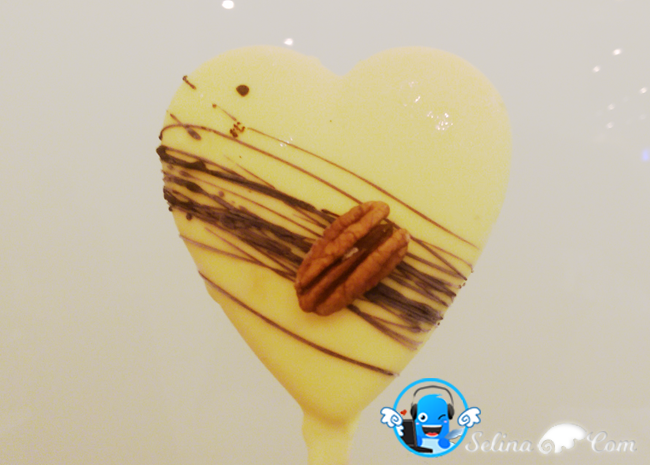 Stick Ice cream comes in a few shapes and I love the heart shape the most. 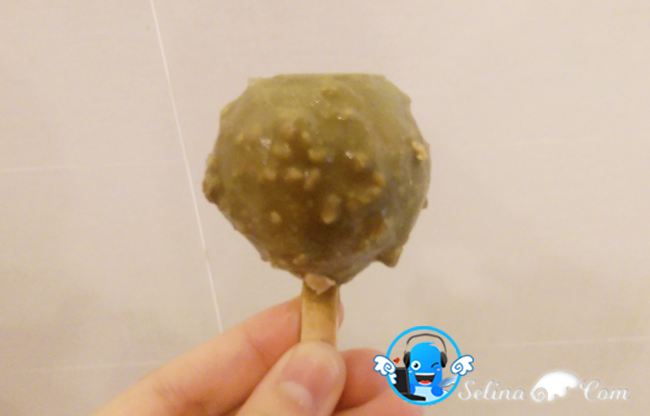 The Minou Ice cream is such a cute little ball which is easy to eat. I would highly recommend this coating with Pistachio flavor. Hmm...nice and crunchy like eating the actual pistachio nuts, yummy! Minou Ice cream cost RM7.50 per golf ball. 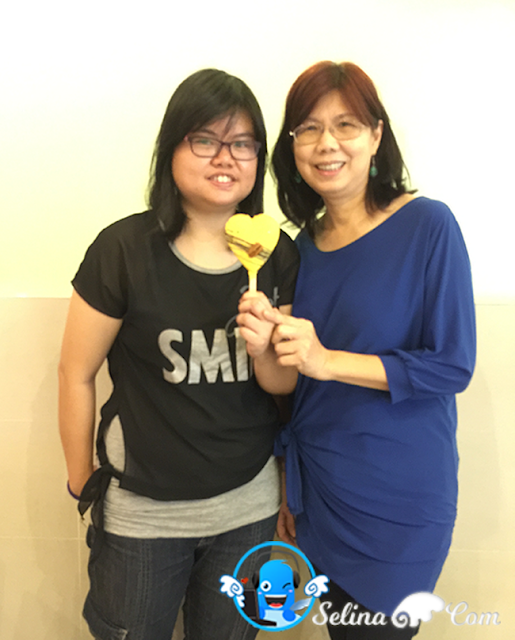 For small cone with one flavor, it is RM10.00 for one flavour. Gelato is 10 - 15% warmer than ice cream, so your mouth will be less numb and able to taste it better. Cool! Get a gelato now! Chef also gave a demonstration of how to decorate an ice cream stick. 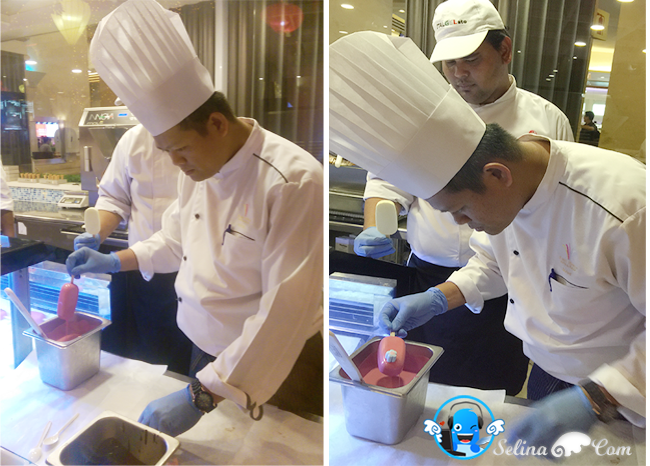 I was given the chance to try coating the ice cream with strawberry glaze. After that, it is putting on the marshmallows on top. I must quickly put it on the sticky coat before it dries up. So, Chef Rodzee helps me with it here. After this I have to drizzle chocolate on top. Here is the video of it. 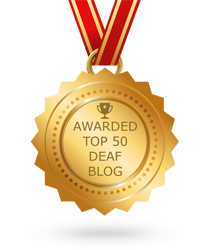 Success, I am in cloud nine! Yes, Genting is in the clouds. My beautifully decorated gelato. Chef gave me a thumbs up! Personally, I am very happy to be able to do it. 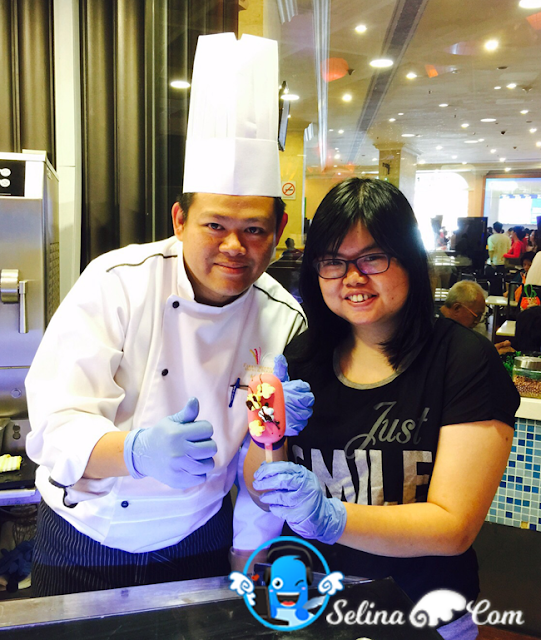 Than you Genting Resorts for this opportunity for my hands-on experience. 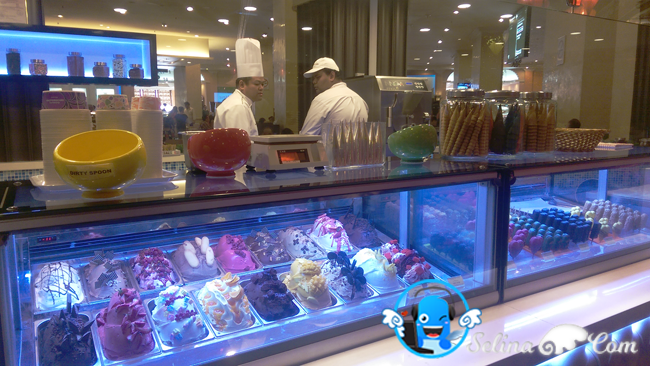 You can spot the ITALGELato ice cream at the lobby, First World Hotel or just find ITALGELato branches, are available in several locations around Resorts World Genting because it only be available in the Genting Highlands! 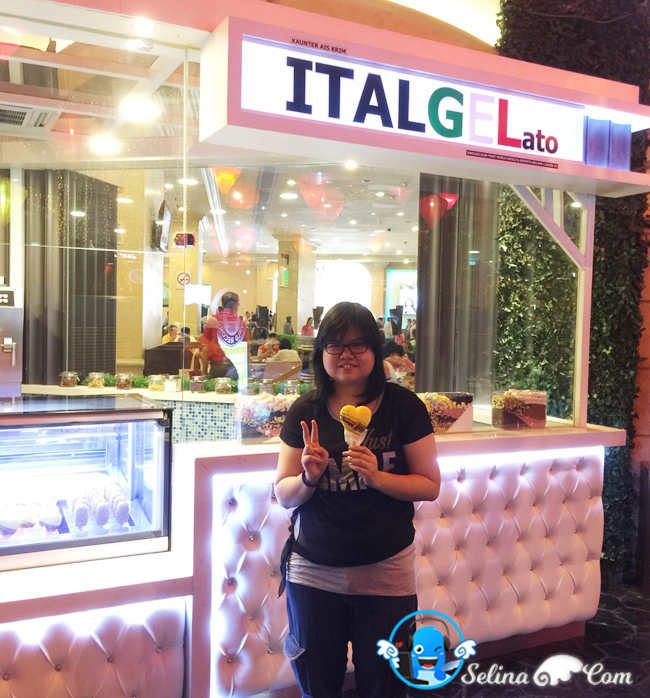 Next time, you MUST to eat ITALGELato Ice Cream when your family or friends with you go play in Genting, ya. 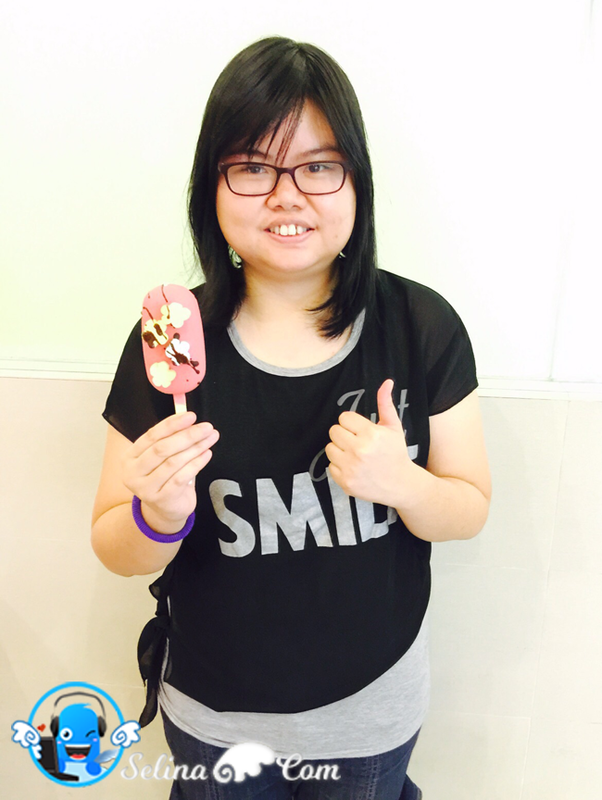 Oh i love ice cream especially at Genting! :) the cold sensation with chilly weather iz perfect match! Looks totally yummylicious. I like your creation. It's so cute! Somehow I never quite latched on to the Gelato fad, I still prfer cheap ol ice cream. thats a lot of gelato, so nice i hear italian gelato is seriously like the best ever right? 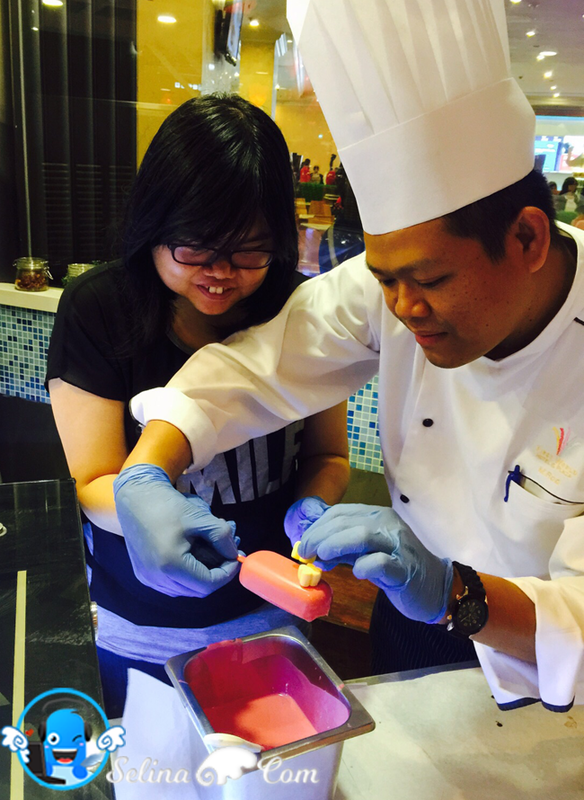 OMG having ice cream and gelato in Genting Highlands is one of the happy things to do. Love the raspberry flavour. So nice! 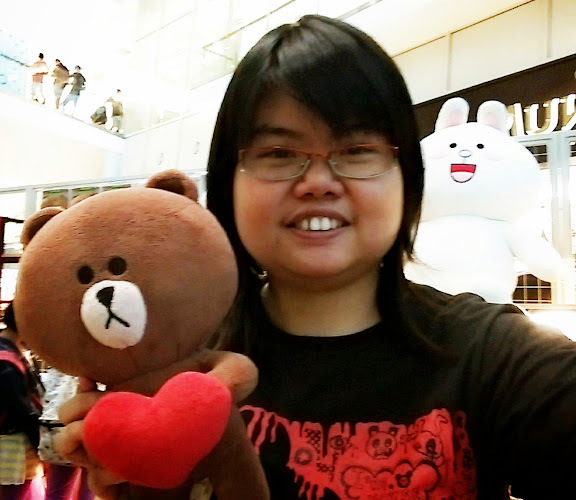 Definitely gonna try it out my next trip to Genting. Having ice cream in cooling weather of genting is really nice feeling! 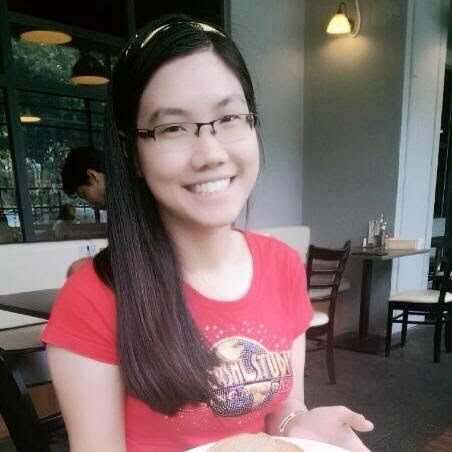 I wan to eat also! 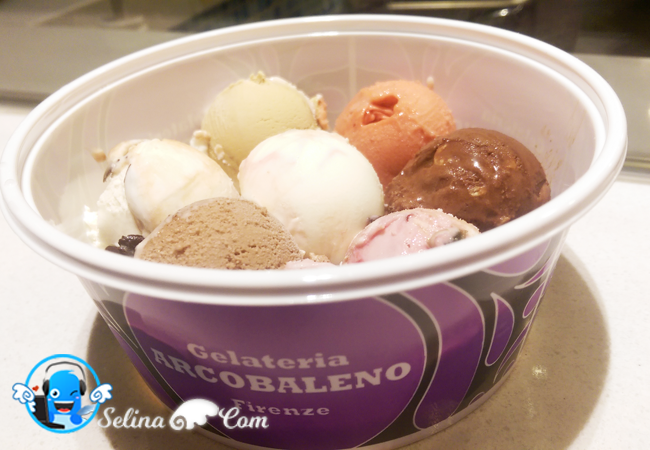 With the current weather, gelato will help a lot! love ice cream! But Rm10 per flavour is really expensive. Wish to try it one day to see how it flares !